1. Located in the Plantation District of the new Tengah town, Plantation Grove is the first public housing development in this town. 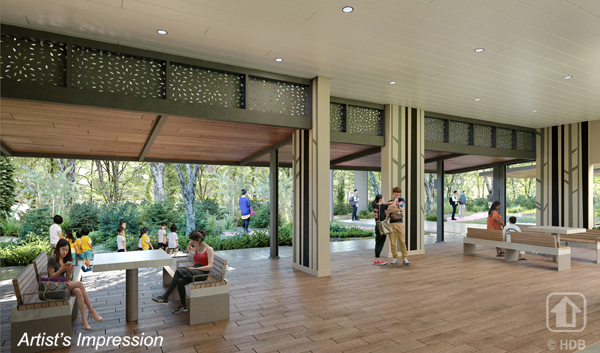 Designed with intimate wooded courtyards that form grove-like spaces, its name reflects the development's design approach and location. 2. 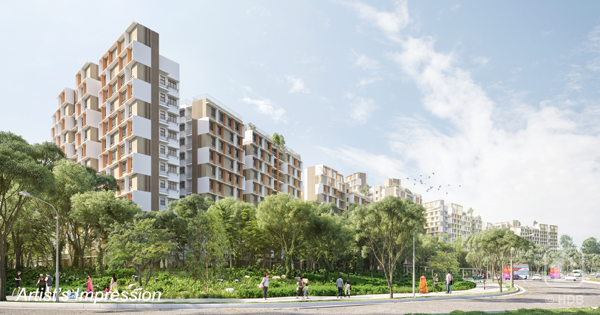 Plantation Grove is located near 2 upcoming Jurong Region Line MRT stations, and will be served by bus services leading to the city and nearby towns. Autonomous vehicles will also be piloted at Plantation District to provide convenient first-mile-last-mile connection to key transport nodes and amenities. 3. 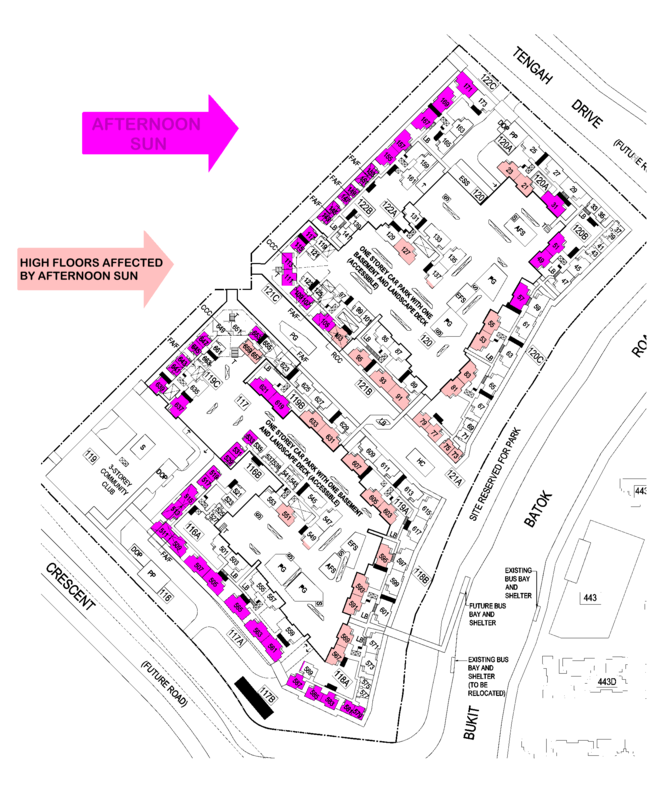 Plantation Grove comprises 17 residential blocks ranging from 8 to 14 storeys. 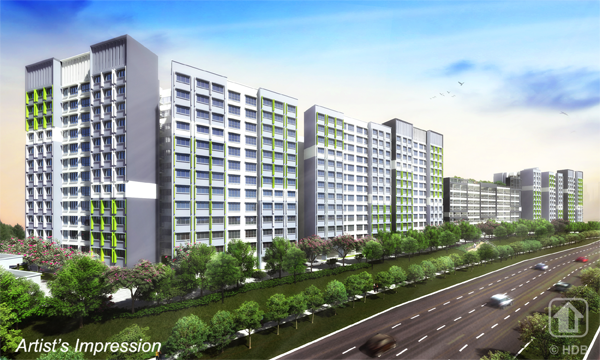 You can choose from 1,620 units of 2-room Flexi, 3-, 4-, 5-room, and 3Gen flats. 4. 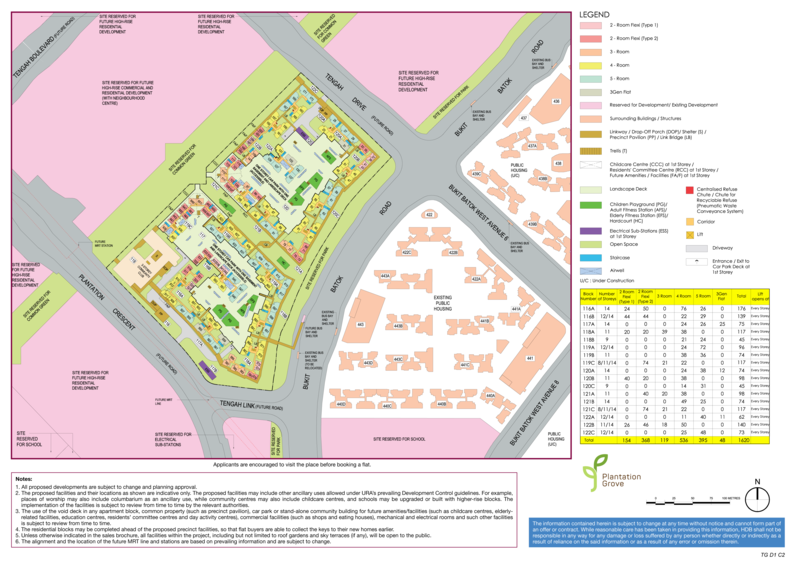 Please refer to the site plan for the facilities to be provided in Plantation Grove. Facilities in this development will be opened to the public. 5.1 A key feature of this district is the Plantation Farmway, which will provide spaces to foster lifestyles centred around community gardening and farming. 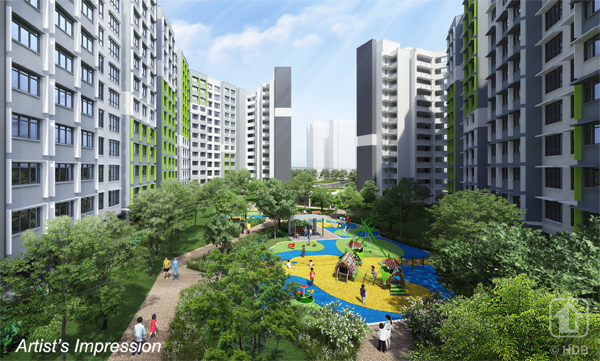 Key amenities such as a Community Club, Neighbourhood Centre, and a shopping street will also line the Plantation Farmway, and make it a vibrant place for residents. 1. Traditional homes and even palaces such as the forbidden city has this style of a courtyard style layout plan. 2. In Singapore, the earliest examples are that of Outram Park and Block 3 and 4 Queens Road that house the famous West Lake Eating House @ 4 Queens Road. Above: The above design looks much like either a floating boat or an aircraft carrier don't you think so? 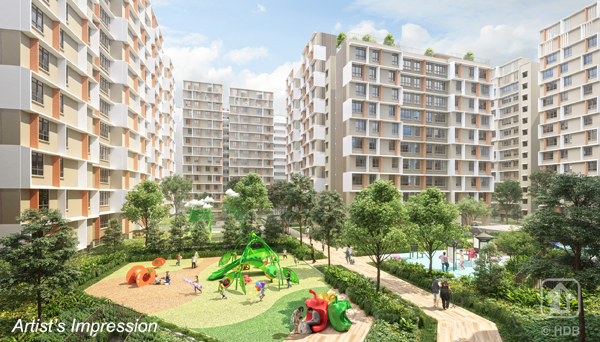 3.2 In fact, even today, new generation of HDB flats carry on with this concept. Thus even if one's unit is facing inwards, one would have a lovely view of the landscaped garden. And not be greeted with cars on the roof-top rolling (while the occupants within trying to make-love). Or recently, a few couples were caught doing some monkey business "up-there"! Perhaps, they were only following our Dear Minister's advice on making babies ... ? 4.2. Another mega condo development: The Interlace also is considered a city within a city as the level 1 is one huge flat platform deck. While the basement car park is right below it. Last I was there, the guards had to use an electric buggy to move-around. 5. Thus one can say that there are certain advantages with such a concept that was time tested since ancient times. (Then homes were low rise and landed properties). 6. Another advantage is that such a roof-top or courtyard brings with it a good place to rear toddlers and kids. As one do not need to venture out of the estate; the child usually have adequate space to .... and such a place is so public with many units "keeping" an eye on it that one may perhaps feel adequately secure, here. Even if there is a sudden change of weather, one can easily run into shelter in a matter of minutes. 1. The architect did a fabulous job in the allocation of the two precinct pavilions. 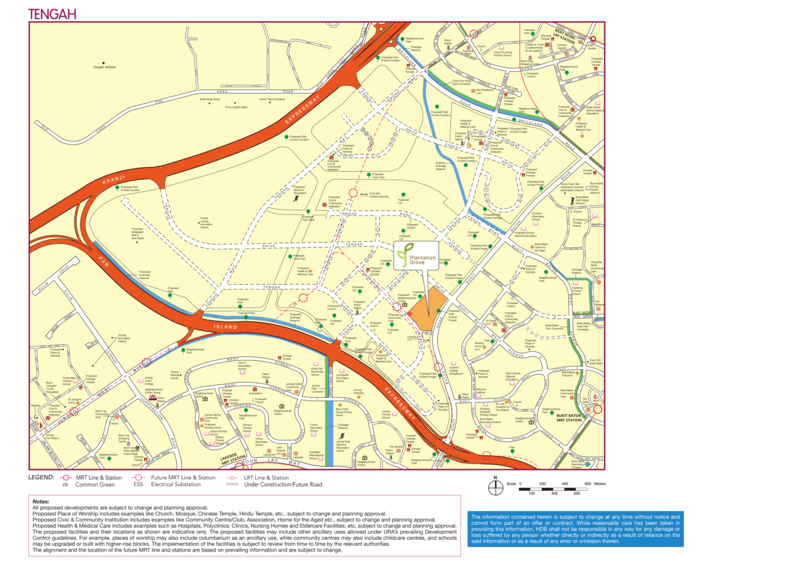 Given that this is a huge estate with combined total of 1620 units. 2. The Two Pavilions are shown in pink. 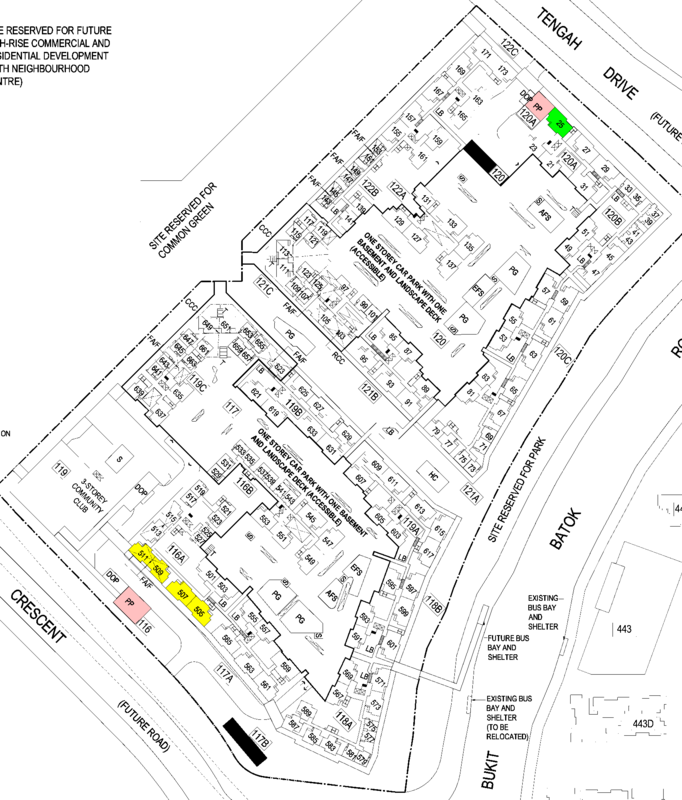 While three stacks highlighted in bright yellow is facing the PP = #507, 509 & 511. While a fourth = #505 is at an acute angle's view and less of a concern. 2.1. The green stack closer to Tengah Drive #25 does not face the PP but best that low floors be avoided as it is directly beside the PP. And often, especially for Chinese funerals, prayers, chants and send off music could be heard quite loud. 3. This confirms that the architect/planner of this estate can be considered an "old bird" and most likely either loves the conservative style of or is usually in his (a male) aged 40 years and above. As such layouts often do not appeal to the younger architect. 4. Bunching all stacks so closely would often mean that many "inward" looking stacks/units that are not the top floors would often not have to bear with long periods of extended afternoon sun soaking into it's walls/ frontage. Part 4: Many 2nd time home buyers often try to avoid purchasing an "afternoon" sun home even if they are West Group persons. Is this true? 1. Yes, if given the choice I understand many who are aware of their previous stay in a west facing home would try to avoid their past experience. As this is long term of 5 years or more. 3. Many school children nowadays go to school in the morning and by noon onwards, while the adults spent time e.g. in a cool office, the children would end up feeling hot and sweaty in the home. Worse if they were suppose to concentrate on their study. Again, not possible to turn on aircon all day.. given the high costs of electricity bill for many. 4. Can also affect resale value. I know of many young first resale home owners when viewing a unit; the owners resorted to turning on the aircon to mask the heat. Thus when these young couples, got hold of the keys to their new (resale) home; they were in for a rude shock. Of having to endure a "hot" greenhouse type of home! 6. Another common sense consideration is the affects of UV rays on a person. Good news for Chinese is that we have "yellow skin pigments" while Malays and Indians have brownish skins. Darker skins were found to be better protected against skin cancer. However, prolonged exposure to UV rays suh as from the afternoon sun can have long term effects on our eyes .. such as catracts (or more pronounced had we not being exposed too frequently to)especally when one gets older..